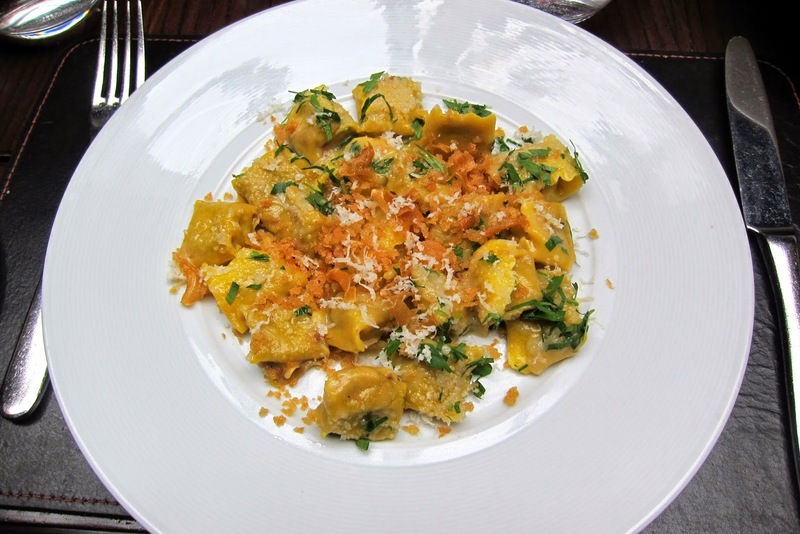 If it's pasta you want to enjoy, Scarpetta is the place to go. 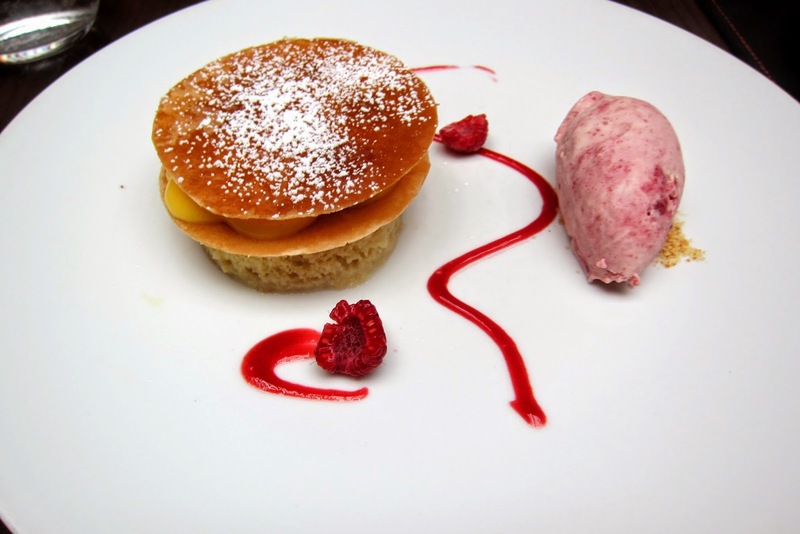 Nestled on the edge of the Meatpacking District, Scarpetta New York is set inside of a nondescript Greek revival townhouse and opens into a gorgeous bar and dining room with incredible natural light. 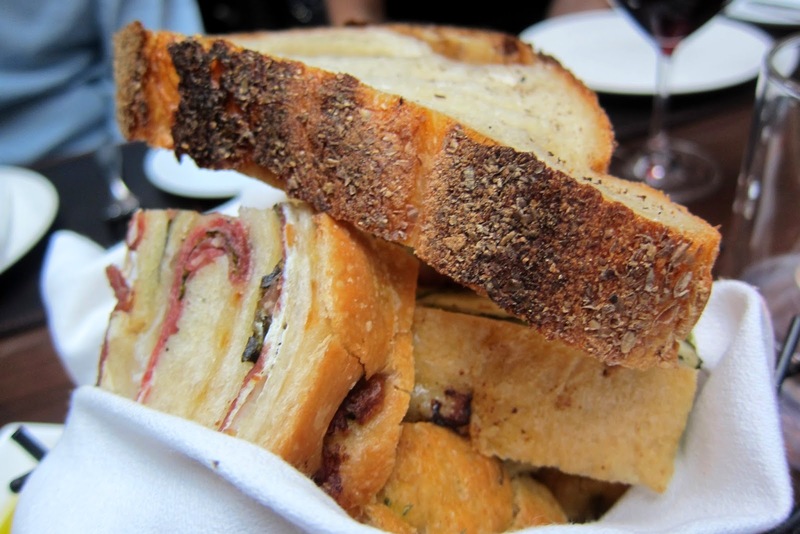 Bread | I usually don't mention bread in my reviews, but something has to be said about the divine bread basket at Scarpetta. There's a fun variety of options, with my favorite being the focaccia. They also provide three dipping options - a whipped rosemary butter, olive oil infused with some citrus flavors, and a vegetable spread. 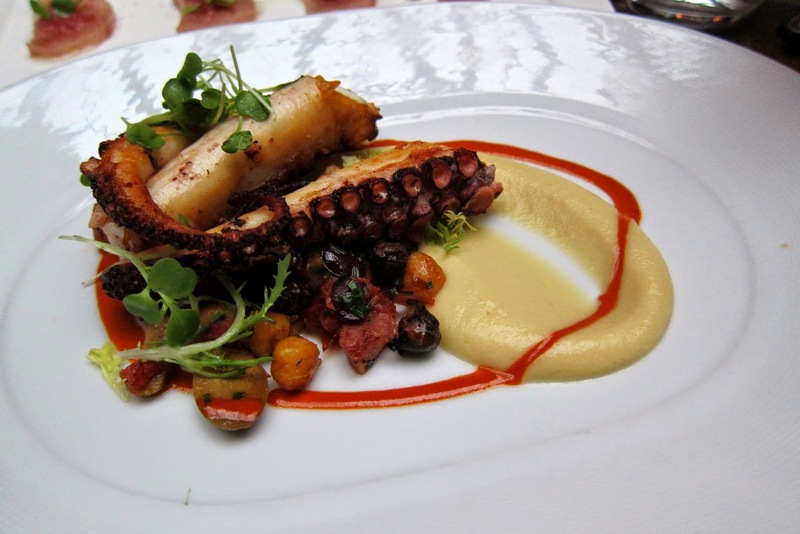 Braised Octopus with Ceci Beans, Olives, Pancetta & Smoked Paprika Vinaigrette | Well, isn't this quite the mouthful? The octopus was perfectly smokey on the outside, and so tender inside. The different parts of the dish came together well, and I quite liked the mix of textures. Creamy Polenta with Fricassee of Truffled Mushrooms | I never liked polenta, until I had polenta from Scarpetta. 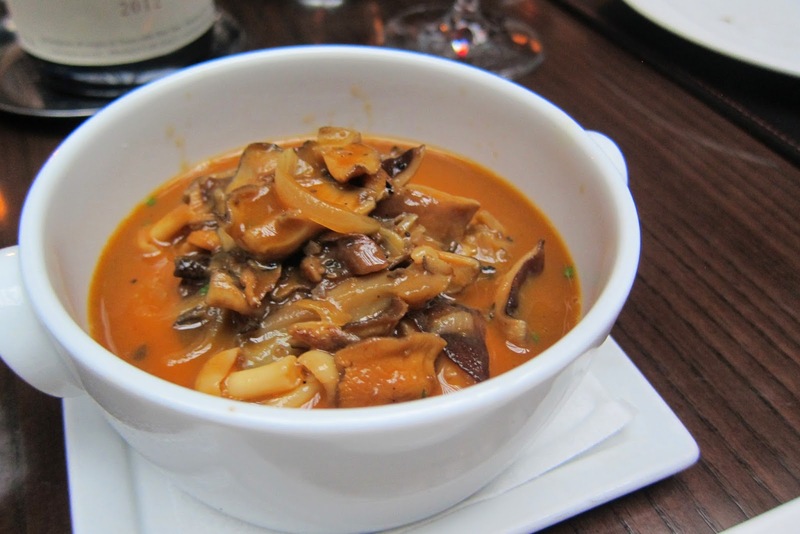 This dish was incredibly smooth, and there wasn't an overwhelming presence of mushroom. 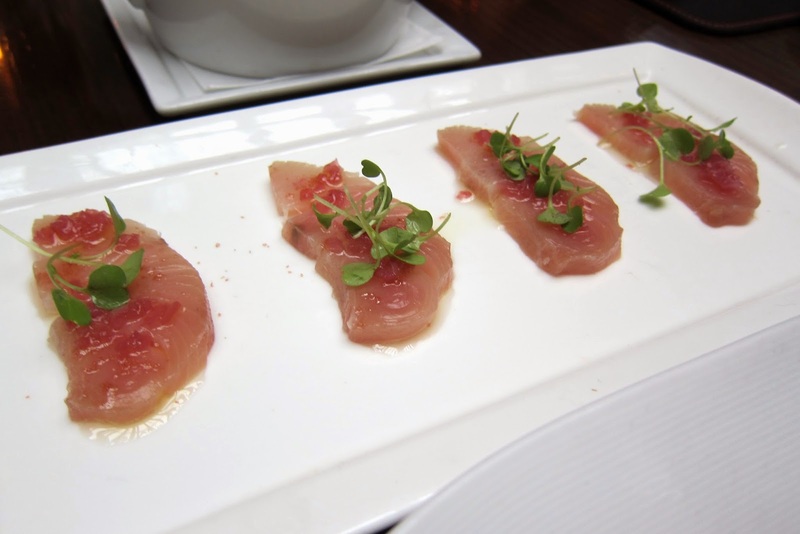 Raw Yellowtail with Olio di Zenzero & Picked Red Onion | Two words - fresh and light. 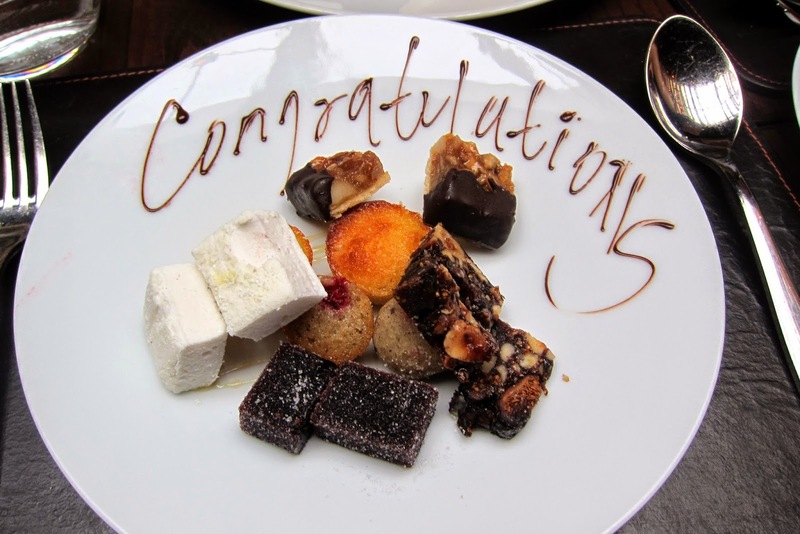 It's a fabulous dish, but if you can only have two starters, I'd skip this dish. 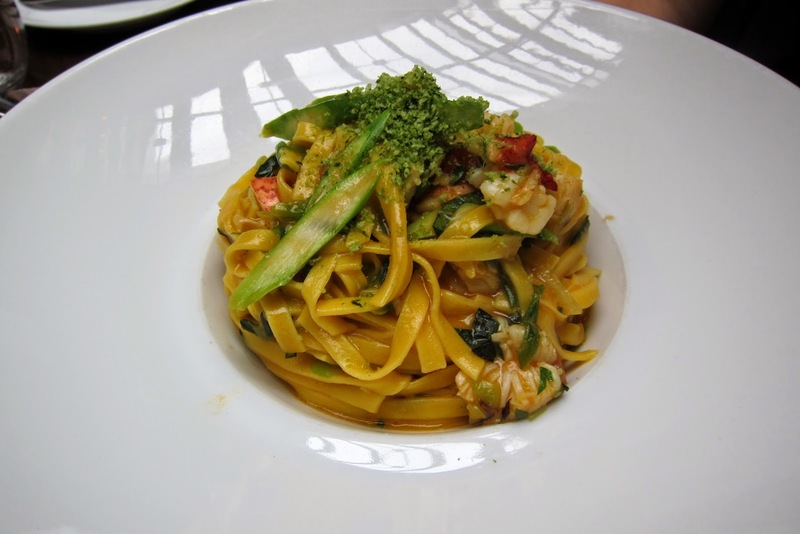 Tagliolini with Asparagus, Lobster & Basil Breadcrumbs | Delicious. The asparagus was crisp, and they were generous with the lobster. You can't go wrong with this dish. Short Rib & Bone Marrow Agnolotti with Garlic Chips & Horseradish | This is definitely a heavier plate of food - but I say, "Who cares?!". Biting into the agnolotti reveals the most tender filling ever, and the crispy garlic chips went perfectly with everything. 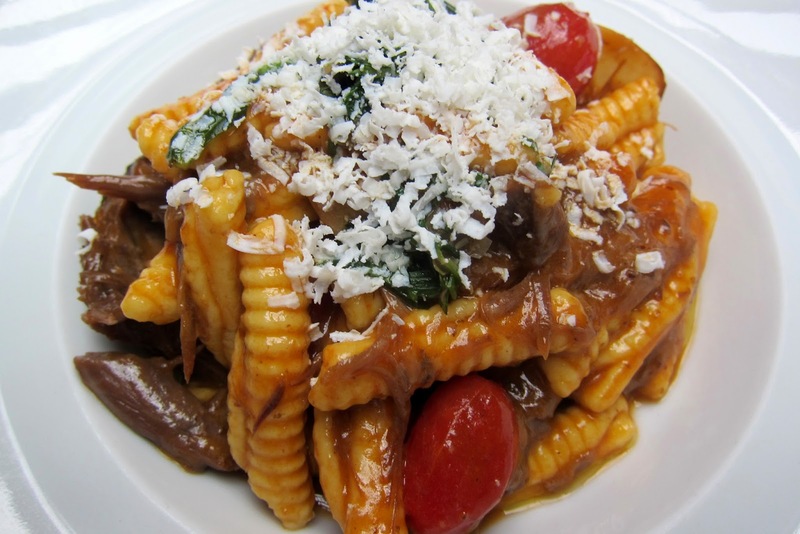 Saffron Cavatelli with Oxtail, Gremolata & Ricotta Salata | Another dish that's on the heavier side. I seriously haven't had oxtail this well prepared before, and mixed in with pasta just made everything perfect. 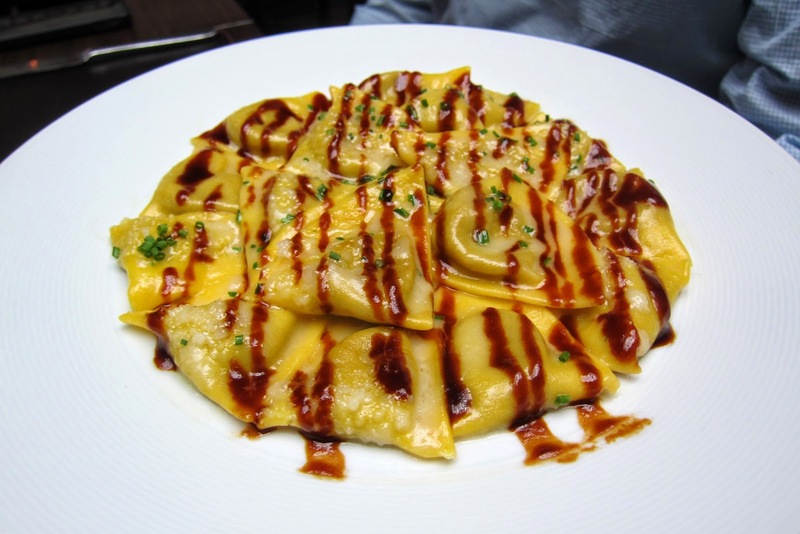 Duck & Foie Gras Ravioli with Marsala Reduction | Fine, I admit it - everyone at my table loves their meat and rich dishes. I've never had foie gras in my ravioli before, and this dish makes me wish that I had it sooner. Napoleon | I like my tropical fruits, but not in a napoleon. The cake was a bit too spongey and wet for my taste, but the flavors are on the lighter side. 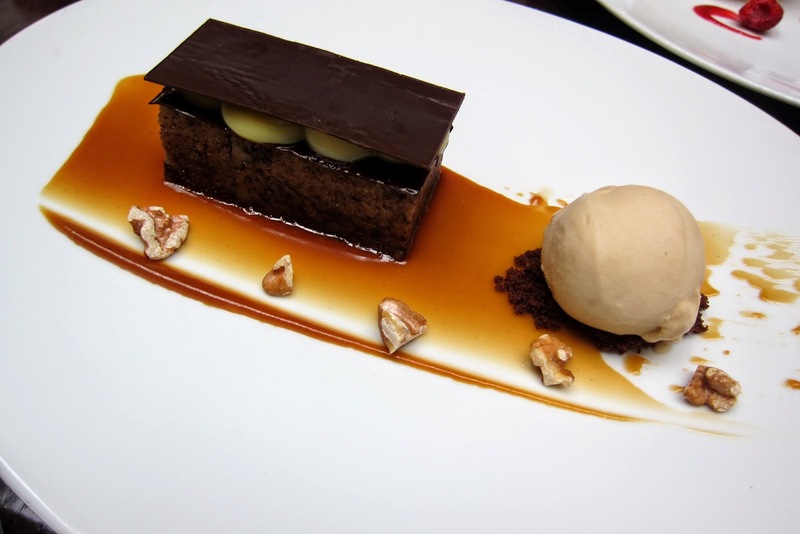 Amedei Chocolate Cake with Salted Caramel Gelato & Chocolate Butterscotch | If dreams could come true through a chocolate cake, this would be where that happens. 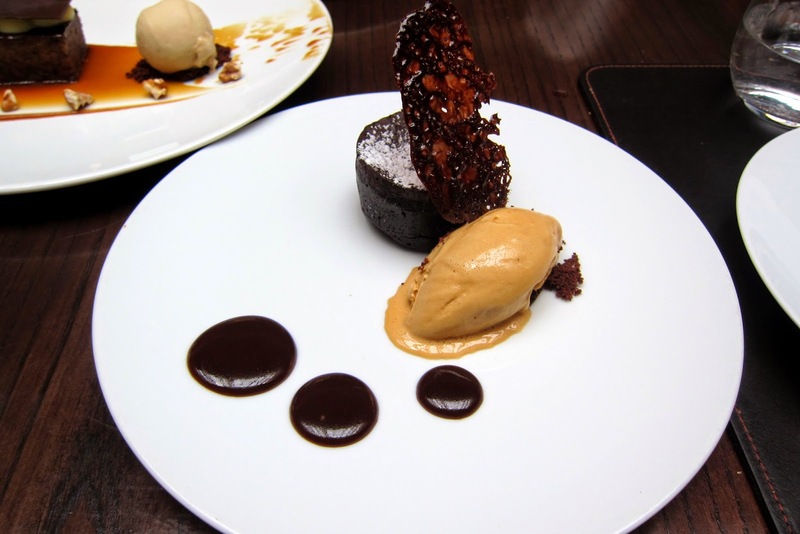 Rich caramel geltao with a richer chocolate cake - how could anything go wrong? Warm Banana Bread with Butterscotch Pudding, Toasted Walnuts & Chocolate Stout Gelato | I've never seen banana bread so sinful. This isn't your grandma's banana bread, and you should be thankful. 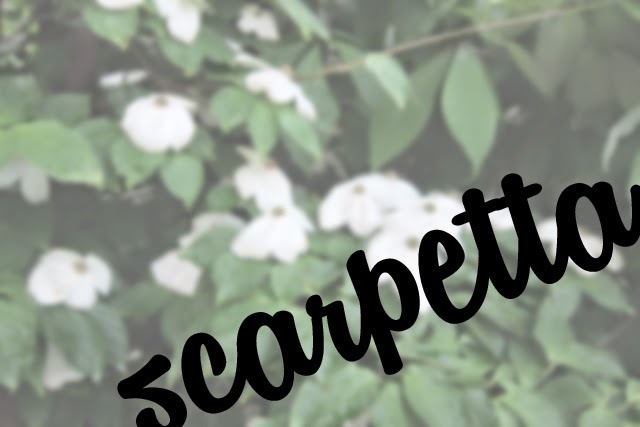 I cannot sing the praises of Scarpetta enough. The food is outstanding, and you really can't go wrong ordering anything here.